I want to replace the circle in the symbol \circledast by a square. But i did not find the right command. It seems that the packages stmaryrd would help. But the package usually re-defines other basic symbols which is not desired. The amssymb package seems not define such a symbol. Is there anyone know how to define some command like \boxdast or \squaredast? Or how to avoid other changes by introducing packages that already defines \boxdast or \squaredast? The reason for \mathpalette is to get the actual math style in order to match the size of the symbol according to the current math style. \m@th removes \mathsurround, because it should add space around the formula, not within, if \mathsurround is set. Update: The font bounding box of \Box is a little too small in the height, therefore I have added a manual correction. You could use Tikz to accomplish this. Something like the following, which declares the command \boxast. I left the scale option in there, because you can use that the tweak the size a bit. For instance, try scale=0.7 to make it approximately the same height as the text. It depends a bit on how you want to use the symbol exactly. Here's a way (without tikz) that is quite brief (shown with super- and supersuperscript). The size of the box symbol will be scaled to the current size of a capital "B", regardless of what script mode you are in. To explain the use of the packages, the asterisk is inset into the box via the stackengine package. The bottom (dead zone) of the box is clipped with \addvbuffer of the verbatimbox package, and the resulting symbol is scaled to the size of a capital B by way of the scalerel package. 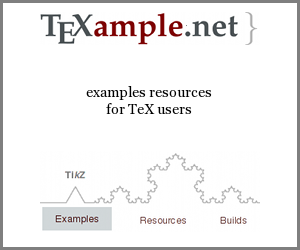 How are base TeX symbols defined?